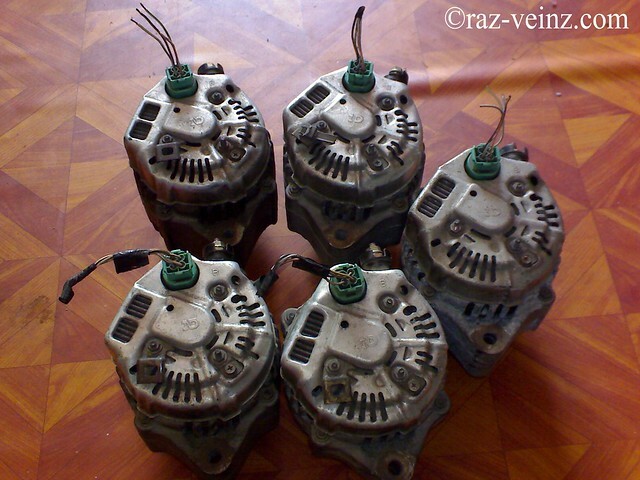 Now-days its seem hard to find the B16a OBD1 alternator from the junkyard, luckily, B-series OBD2 alternator is compatible but not just plug and play, there a different type of socket (OBD1 = round, OBD2 = square) and luckily again, I found 5 unit B20b alternator from Honda CRV, take them all! 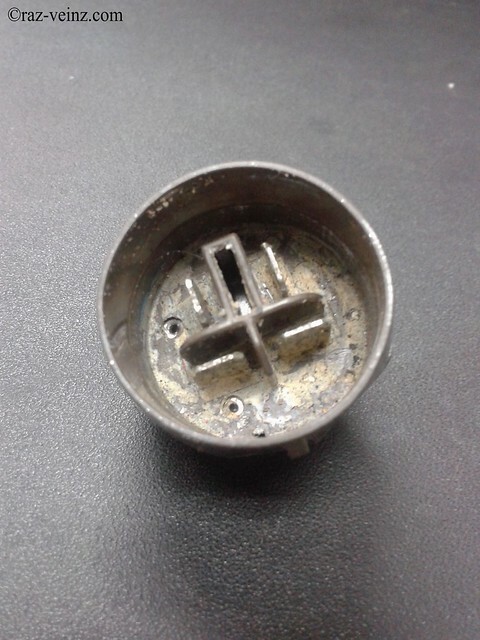 So, the problem is, how to convert it into OBD1 car without cutting any wire? The answer is plug converter! But, unluckily, not available in my place. Give up? no. Wait! 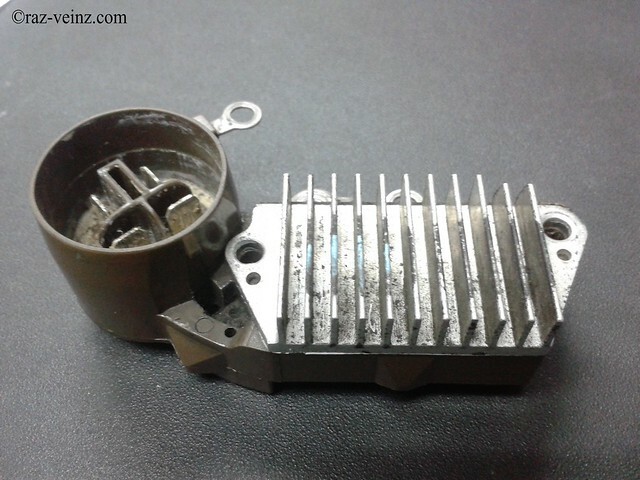 Don’t throw away your broken heart OBD1 alternator, take out the voltage regulator. 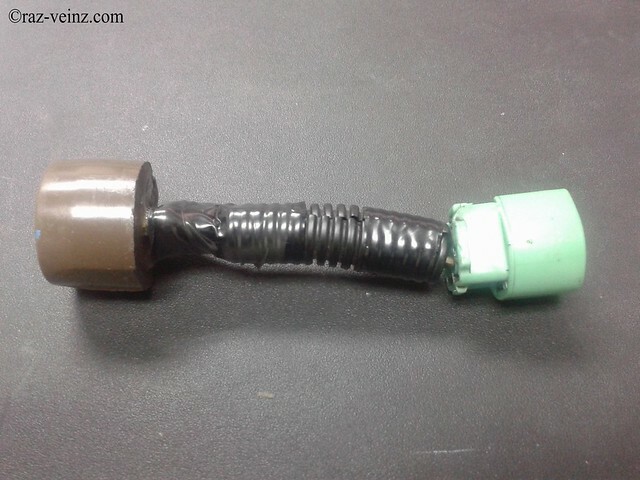 With the OBD2 alternator plug that stick at the alternator, I soldered it with the OBD1 voltage regulator socket (don’t forget to check the continuity with the multimeter before soldering) , seal with the epoxy and cover and secure it with flexible split tubing. 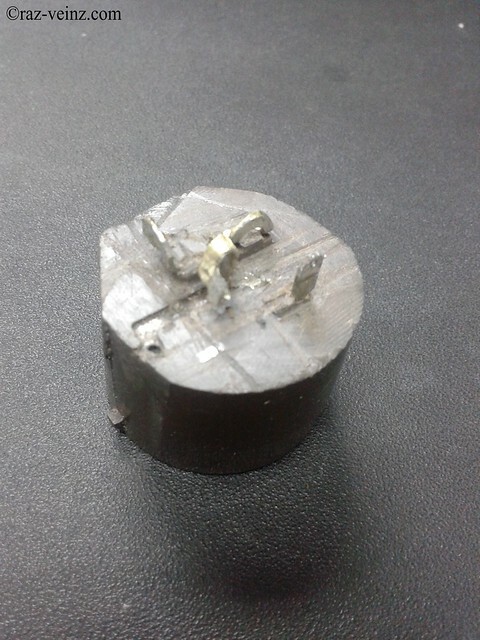 Here the outlet diagram.